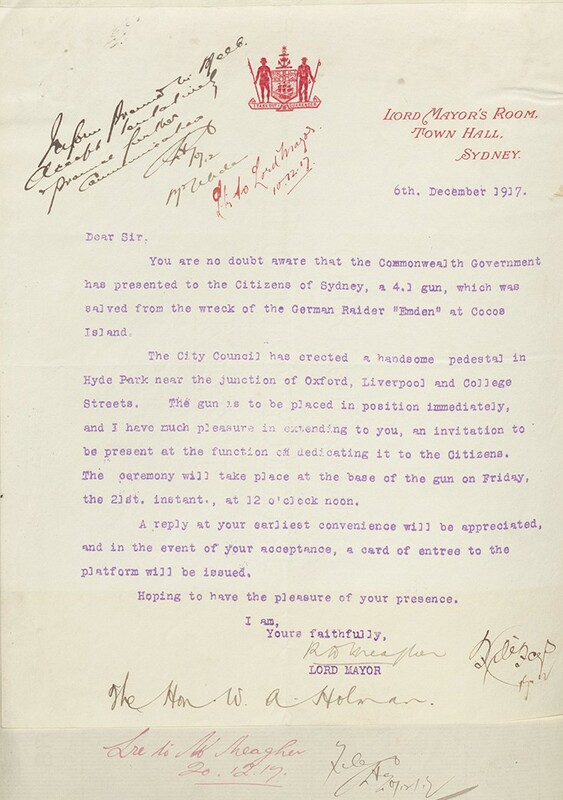 In 1917 the Commonwealth Government offered one of three Emden guns to the City of Sydney, an offer which was accepted on 20 August 1917. (5) It was decided to display the Emden gun in Hyde Park, where it was mounted on stone in a railed enclosure. The Emden Gun Memorial is situated in the south-east corner of Hyde Park facing Whitlam Square. 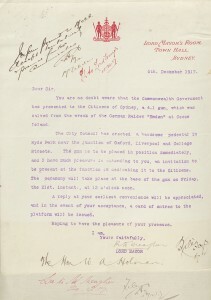 More records about the construction of this monument can be located in the City of Sydney Archives. 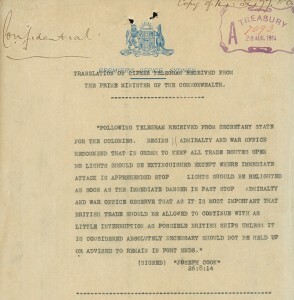 Search City of Sydney Archives Investigator using search term “Emden”. 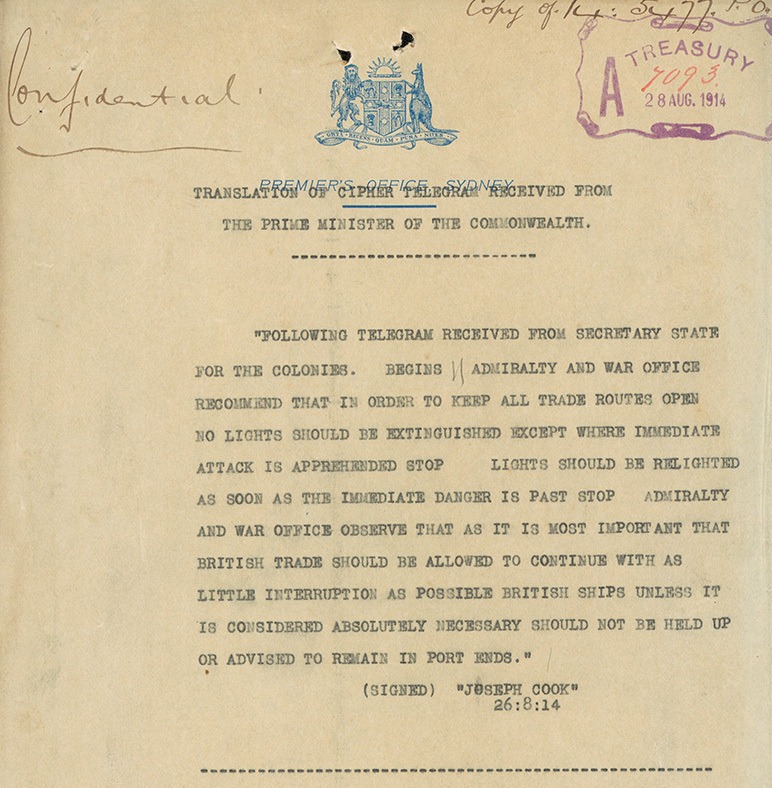 (6) Sydney Morning Herald, 22 December 1917, accessed on 17 April 2013.